This website is designed to accompany your reading of the novel The Testament of Sophie Dawes - the Queen of Chantilly and a Scandal at the Heart of Victorian Society. Whether you are about to read the book or have already done so, you will discover something of interest here. You will find portraits of the characters along with images of the places described in the story. You can see the key locations in England and in France as they were in the past, and, in some cases as they are in the present. There is also a selection of surviving images of Sophie Dawes herself, plus a broad range of maps and other reference material to add to your enjoyment of the story. The novel, The Testament of Sophie Dawes by Robert Stephen Parry, was published in 2016. Set in Victorian England, it describes one of the most extraordinary rags-to-riches stories ever. Presented in the form of a journal and letters, Sophie's story is told through the experiences of an archivist working at the royal residence of Osborne House during the months following the death of Queen Victoria's consort, Prince Albert, in 1861. We follow him and his work. And we share in his journal as he gradually unearths the details of a young woman who, from a background of utter poverty and obscurity, went on to become one of the most wealthy and powerful of people in all of France. In fact, in all of Europe. But, as stated on the back cover, it is knowledge that does not please everyone. • The French Revolution and its aftermath. • The mysterious demise of the Prince de Condé in 1830. • The rise to power of Louis Philippe, King of the French. • And the possible fate of the boy king Louis XVII. 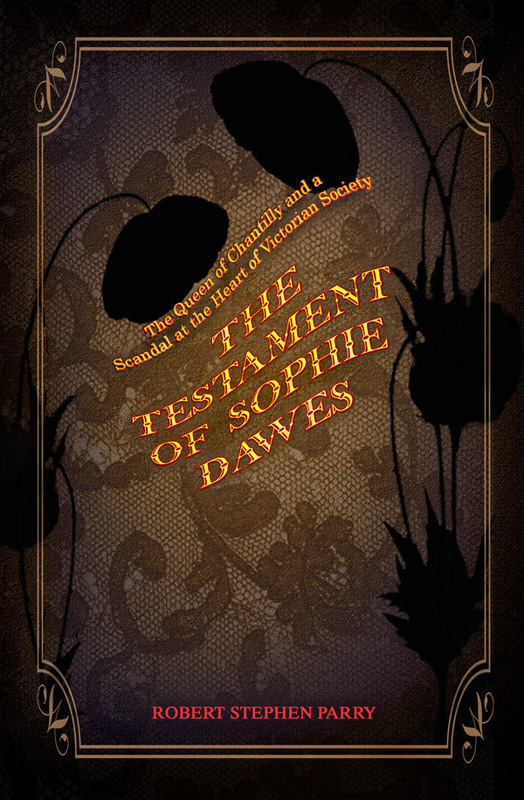 THE TESTAMENT OF SOPHIE DAWES - Victorian Gothic in the form of a diary and letters. The novel is widely available in paperback and e-books, kindle, nook, ipad etc. More details can be found on the author's website. And a special page of reading notes for bookclubs or reading groups can be found here. Copyright: Robert Stephen Parry 2018. All rights reserved.